Quiet your mind and improve your mental focus. Increase your physical strength and power. Are you a club member or do you play with a group of guys? Contact me to arrange a group golf fitness training program for up to six players. Each player will get an individual assessment, and then we'll train together four or eight times per month. What golfer doesn't want to lower their scores, hit the ball farther, play injury free and have more fun on the course? As an avid golfer myself, I understand the passionate desire to play our best golf. The feeling of hitting that perfect shot is indescribable. Golf strikes at the core of who we are. Each and every round is a journey. In many ways our golf game mirrors the opportunities and challenges, heartbreak and excitement, luck and misfortune, humor and frustration and the sheer torture and amazing miracles of everyday life. To hit that great shot requires playing with the same freedom and trust we need to live fulfilling lives. Like all of life, golf engages the body, mind and spirit. To hit that stationary little white ball effectively, our body, mind and spirit must be connected. I call this being a Spiritual Warrior. EFFICIENCY — Unlock your full golf potential with a healthy and efficient body. 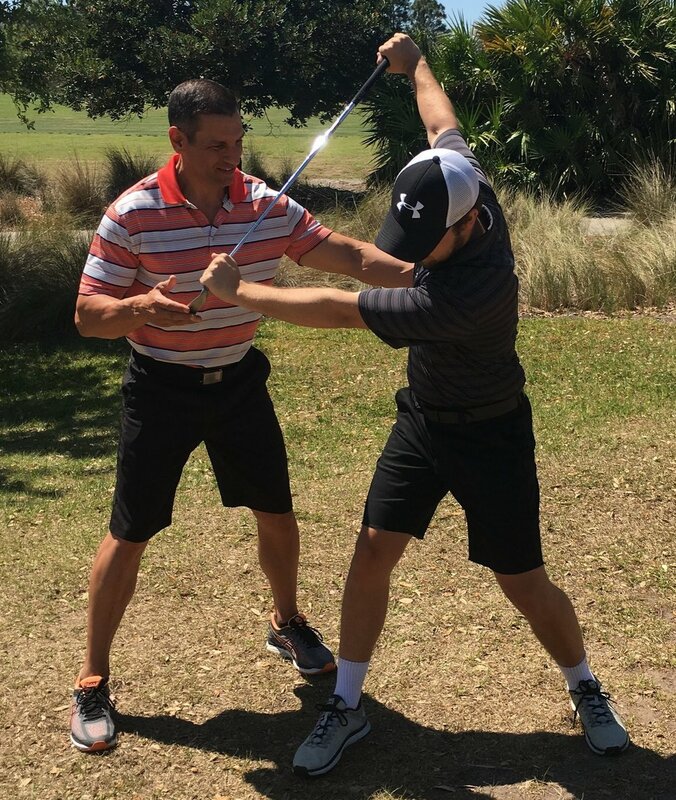 As a certified TPI level 2 golf fitness instructor, I have the knowledge to understand the major physical performance factors that limit most players from reaching their full potential. We will work together to get you to your optimum level of mobility, stability, strength and power. DETERMINATION — Play with mental toughness and determination. Golf is an inside out game. To play our best golf requires being mentally tough and determined. It’s a great way to practice quieting the mind and getting away from all of the mental chatter we face, day in and day out. FREEDOM — Play freely and in the moment with humility, integrity and character. Golf is the most humbling sport I have ever played. It messes with our ego and our pride. Just when we think we have the game of golf figured out, we hit the worst shot of our lives. Golf teaches us to live in the moment. And just as in life, in every moment of golf we face our deepest spiritual truth: in order to play freely and play our best, we must surrender. Golf asks us to build character, honesty, integrity and, ultimately, spiritual awareness. Every player has a completely different body and unique set of strengths and weaknesses. Therefore, before beginning any golf fitness program, it's important for each player to be properly screened. 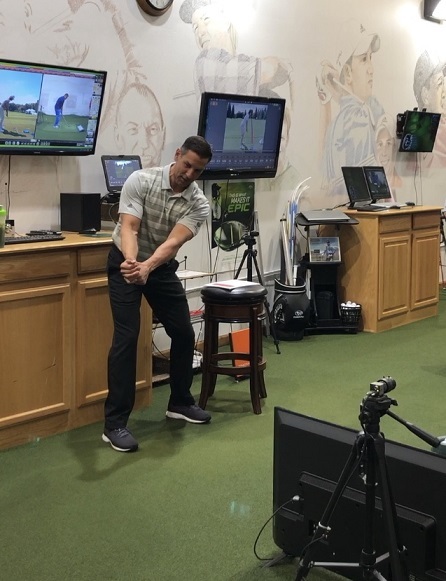 The TPI golf screen assesses your mobility, stability, strength and power and identifies if your body is effecting your golf swing and if swing compensations are being made based on faulty movements and poor mobility. With this information, we will identify priority areas to target in your workout program, addressing any weaknesses found, and continue to develop your strength. We also will relay this information to your team (golf professional and medical professional), so they can support you, too. All of my workouts are designed to train players, who have a complete loss of mobility and stability, to achieve their full power potential. Automatic withdrawals will occur monthly through Visa, Mastercard or American Express. Your card will be automatically debited on the 1st or 15th of each month. A receipt for each payment will be e-mailed to you. I ask for a 3 month commitment up front then you can cancel at any time. If for any reason you are not happy with the program within 30 days you will get a full refund. Guaranteed results or your money back. Golf is a rotational sport. Without mobility in the thoracic spine, your golf game will suffer, and you will experience low back pain. Other key areas to focus on are the hips and the shoulders. Before anything else, the golfer needs to focus on mobility. In golf it is important to stabilize parts of the body without them moving — glutes are the king and abs are the queen. To have an efficient swing, both of these need to be trained properly. A golfer needs to have a good foundation of strength so he can create more speed and power, safely. But increasing strength just for the sake of increasing strength isn't the point. The goal is to develop left side and right side symmetry and balanced strength. You are only as strong as your weakest link. Golfers are power athletes. The club head speeds of professional golfers are now exceeding 120 mph. The sequence of power generation in the golf swing is amazingly similar to the sequence we see with many throwing and rotational sports. Golfers need to train for power, when they have enough mobility, stability and strength.